Read Diligent Institute’s inaugural research report about global environmental sustainability governance practices and attitudes. With high-impact weather events on the rise, natural resource scarcity increasing, and the other looming impacts of climate change, boards of directors are facing intense pressure from stakeholders to get more involved in environmental sustainability governance. 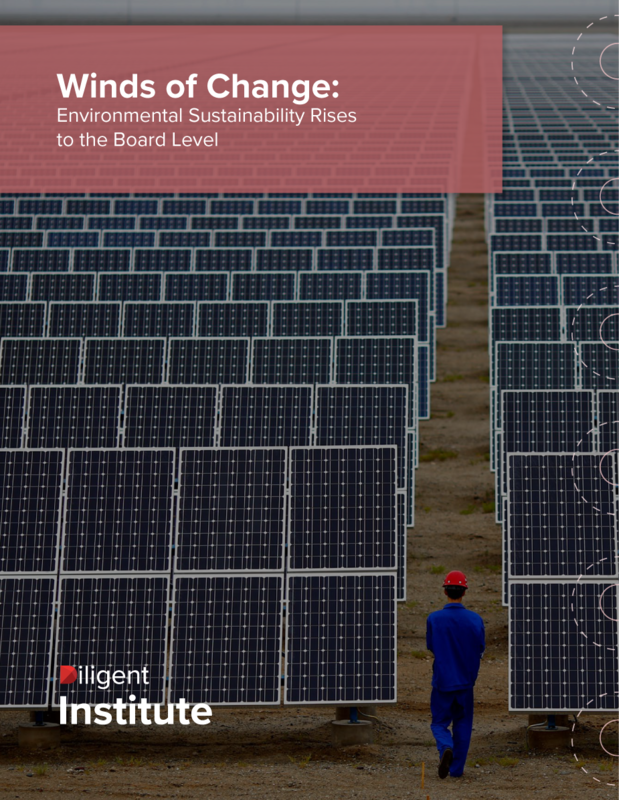 To better understand the ways boards are tackling these questions and what conclusions they are reaching, Diligent Institute developed this report on the governance of environmental sustainability issues. To what extent to environmental and sustainability issues rise to the level of board consideration? What is compels directors to consider environmental and sustainability issues within their oversight? On a practical, structural level, how are boards overseeing environmental sustainability? The report also explores how, in such dynamic and uncertain times, and with directorship already being more demanding than ever, where should the focus of directors’ efforts on environmental sustainability issues be? In other words, if boards engage in governance on environmental issues, or social issues, or questions of company culture, at what point do they infringe on management’s domain? To what extent do these societal issues impact the bottom line? Is the fervor of investors and shareholders, the media, the public, and others on environmental issues just a “fad,” or will the pressure mount? To what extent should boards expend time or energy on long-term environmental sustainability planning, versus taking more cursory measures or just waiting it out?